Best Photography Light Bulbs – What Color Temperature Is Best for Photography? How do you choose photography light bulbs? What light bulbs for photography to use to make color temperature warmer and colder on your studio images? There are so many photo light bulbs that differ by style, type, color temperature and power. 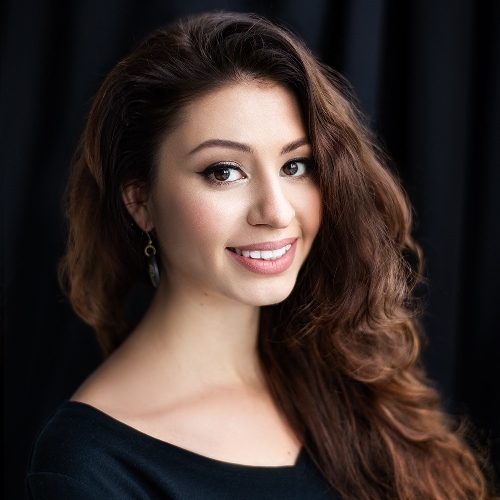 Before buying I recommend you reading the following post to achieve perfect studio lighting. All light bulbs for photography have their own color temperature – their individual color that are among red to blue color scheme. For example, many common sources of light are “warm”. You can notice that candles, sunrises and tungsten bulbs have the color that is similar to red. As for the flashes, they transmit “cold” light, which is similar to the blue color. Kelvin is the usual international way of recording this parameter. Pay your attention to the fact that higher numbers are used to determine “cold” colors. Thus, blue and white will be marked at over 4000K. Talking about “warm” colors, they are about 2000K. The blue color is at the top and has the highest mark. If you are interested in incandescent or halogen lights, they have about 2500K – 3000K. Many photographers use natural light, which corresponds to 4800K. To choose the best light bulbs for indoor photography, you need to know what color temperature works perfectly for your professional goals. Take a look at these interior photos below to see how color temperature change photos. Let’s say you want to take photos with warm, inviting atmosphere. If you go with a light bulb that has color temperature of 7000k - you won’t be able to achieve your goal. The photos will look cold. That’s why it’s crucial for photographers to know and use the Kelvin scale. This simple secret gives excellent results and allows to take high-quality and accurate pictures. So, just save the color temperature scale above and find the variant that is preferable for you. If you accidentally chose the light bulb with wrong color temperature – don’t get upset! FixThePhoto can easily fix the white balance for you. For $0,20 per photo you will get professional color correction services. If you plan a perfect studio photo shoot and get clear photos, you need to buy the best light bulbs for photography studio. But your choice should be based on the effects that you like and the look of the image that you want to achieve. I propose you to look at the most widespread variants of studio light sources. These bright and powerful light bulbs look like those that we typically use at home. But they are stronger to meet our professional photography requirements. Tungsten bulbs are known as a quite popular type of the studio lighting equipment. Providing a nice orange light, they make lighting seem natural, like the bright daylight on a sunny summer day. You should remember that the bare bulb produces a really harsh light. You can change this by utilizing diffusion material, reflectors, and other supplements. Tungsten bulbs are hot and you should use them carefully. Be mindful about this while taking pictures of kids and pets, as well as photographing different melting products. Many users prefer this type of lighting due to the low price. At the same time, it requires more electric power. It is needed to heat up the filament. Also, the lifespan of these bulbs is very short – about 1000 hours. Although fluorescent sources of light are more effective than the tungsten bulbs, they produce only 60-100 watts. This means they consume less power, but the output is significantly less too. Many professionals use them as photo light bulbs, because they are affordable, easy to buy and replace. Unfortunately, most users don’t like them due to flickering and terrible orange-green hue. But the new types of these bulbs are produced without such defects. They provide the opportunity to choose between the great variety of color temperatures. What is more, modern fluorescent lights are quite soft and more capable than the common incandescent bulbs. Their output becomes similar to HMI bulbs. If you are going to take wedding photos with additional light, I recommend you watching these Picture-Perfect Lighting Techniques for Wedding Photographers by Jerry Ghionis. You can find any color temperature that you need, from tungsten up to the ordinary sunlight. These light bulbs for photography are the most compact and have minimum weight. You should surely use fluorescent lights if you need “cold” lighting for your studio photo shoot. Popular photography lighting kits include a very controversial type of bulbs. I am talking about the CFL, which stands for compact fluorescent light. This is a comparatively new photo lighting equipment, which was designed to cope with the energy crisis. Unfortunately, the invention has more drawbacks than real benefits. Giving off dirty electricity, these fluorescent lights are dangerous for the environment. The thing is that they are produced with mercury, so require special efforts to dispose and can’t be recycled. CFL bulbs are positioned as a perfect choice of camera lighting equipment, but I don’t recommend them. You should avoid such lighting if you don’t want to have troubles like mixed white balance in your shots. LED bulbs for photography are really popular for several important reasons. Firstly, this is a low-price and convenient type of equipment. LED bulbs almost don’t heat up and they are more environmentally friendly. Secondly, they require less power and even can be battery operated. Just find the standard AA batteries, which are the most common. This universal type of light source is very effective. In fact, it requires 90% less electric power than incandescent bulbs. At the same time, the brightness isn’t worse. You may say that these bulbs cost higher, but you can use them much longer. LED bulbs don’t need a replacement for about 10 years. Being very capable, these lights are also safe and comfortable to work with. You can use them at home or office, as the modern replacement to the traditional lighting. Of course, it’s a good idea to install them in your studio for professional shooting or video recording. Many professionals highly recommend LED photo bulbs, but they also have some disadvantages. Choosing the cheapest LED bulbs, you should keep in mind that they can start to flicker. Moreover, some variants can’t provide 100% even lighting that is needed for flawless shots. Maybe, you already know some photography lighting basics. Then, you have probably heard about the famous three-point lighting trick. For those of you who haven’t, it is a technique commonly used for portrait photography. If you want to try it, make the light come from 3 different directions. If you are going to take portrait photos in studio for the first time, I recommend you reading these basic portrait photography tips that can help you avoid many shooting mistakes and fails. The same technique can be used for filming. You can change the size, distance, brightness and other parameters of the light source in order to correct the result. These changes influence the shadows. The method helps change the lighting layer by layer, which is very convenient. It’s not obligatory to use exactly 3 sources of light. You can remove or add something. It’s normal to experiment to get the desired effect. For example, many shadows create a dramatic mood, while the lack of them looks more peaceful. Any photography lighting tutorial mentions the Key Light. This term means the primary light on the subject. Drawing a line between the view of the photographer and the subject, we will notice the key light at a 45-degree angle to the camera. This type of light is placed above the level of the model’s eyes. For portrait photography, it is located on one of the model’s sides. As a result, one side is well illuminated and another one has a slight shadow. In most cases, it’s the strongest light in a three-point scheme. The second type of camera light is the Fill Light. It mirrors the position of the primary one and is opposite to the photographer. Its function is to remove the unwanted shadows. You should use the fill light that is only slightly less intense than the main source of light. The difference between them is known as the “lighting ratio.” For example, if this parameter is 1:1, the brightness of these 2 sources of light is equal. Talking about the portrait pictures, I recommend choosing the 2:1 or 4:1 ratio. If your purpose is to get smoother images, you should use the lower ratio. Those who prefer textured edgy pictures set the higher one. It’s important to use this second light source to fill-in shadows under the model’s eyes, nose, and chin. You can also use not a real bulb but just any type of a reflector or a white card. In this case, you will receive softer results. The last element of one of the most popular studio lighting techniques is called the “Backlight”. Some photographers also named it rim, hair, or shoulder light. Being placed on the opposite of the main light, it has a special purpose. Unlike the previous 2 schemes, the backlight doesn’t deliver the direct lighting. It is used to highlight the subject’s outlines. So, the backlight separates the background and adds depth to the composition. It looks really good when the model has black hair and stands near a dark wall. So, you should know when her hair ends and the background begins. It’s normal if the backlight does not fall on the front camera side of a subject. Watch this video to know other photography light set-ups you can use for creative portrait photos in studio. If you want to succeed in light bulb photography, you should follow several simple pieces of advice. Just read them attentively and carefully and use in your everyday studio shooting. While looking for the top lighting photo bulb, pay attention to CRI. This index shows whether the lamp works qualitatively. So, you can see how accurately it renders the colors of objects in the photo studio. The simple scale includes marks from 1 to 100. It’s easy to understand that the lower number means the poorer quality of illumination. Comparing different photography lighting kits for beginners or professionals, look at this characteristic. It can help you make the right choice that won’t disappoint you. Unfortunately, many companies miss this characteristic in the description of their products. But if you are attentive, you can find it in an imperceptible place on the box. From my point of view, if CRI isn’t mentioned, you can guess its level. In fact, manufacturers like Philips, GE, or CREE, offer bulbs with CRI around 80. Not so famous companies that are at a lower price range usually propose lights of 70 CRI or less. One of the most important photography lighting tips is to remember about the white balance. If you forget about this basic thing, you will receive unpleasant colors. In such a case, the picture doesn’t look realistic, professional and appealing. To avoid this problem, you should always pay close attention to the white balance. It allows taking professionally exposed pictures that catch an eye with rich nice colors. Even the best on camera LED light doesn’t work without appropriate adjustment of this simple feature. Read more about the best low light cameras you can use for beautiful portrait photos with creative shadows. If some of your works have an orange or yellow cast, you should check the color temperature of your light sources. This effect usually occurs due to a great difference between them. The thing is that the camera is able to catch the difference, even if you don’t see anything strange. The human eye gets used to various temperatures and perceives them as somewhat white color. Many devices include the auto adjustment of the white balance. But from the technical point of view, it’s better to do this manually in accordance with the chosen type of lighting. Read more about all the secrets of beautiful portrait lighting in the studios and outdoors. You will know everything about how to set and adjust camera settings to light up and take perfect photos without blurriness and overexposure. It’s the best way to avoid the necessity of constantly changing settings for various lighting situations. Many professionals use it to change the white balance of the RAW pictures during image post-processing. The white balance is included as a separate parameter, which may be removed. To correct white balance or make deep color correction fast, you need to download professionally designed free Lightroom presets or Photoshop actions and make it in several clicks. 1. 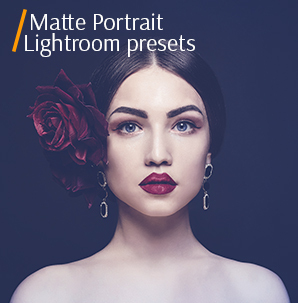 FREE Lightroom Preset "Apricot"
To get the free pro tools from the Fixthephoto simply enter your email address and your first name in the form. Adobe Lightroom Preset "Apricot" will make your lifestyle portraits light and airy by adding a delicate tint. Highly recommended for outdoor portrait to make colors fresh and clear. 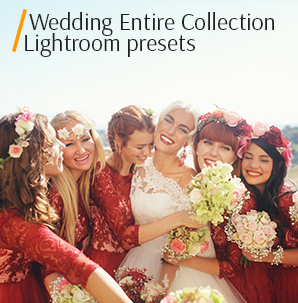 You can achieve professional results with this free bright and airy Lightroom preset, which is the perfect choice for creating incredible photos. 2. FREE Vintage Lightroom Preset "Street"
Vintage styled photos always bring out tender feelings and fond memories, which is exactly what we need for portrait photography. Free Vintage LR Preset "Street" will put 40 years on a photo, which will give it an extraordinary effect, making it brighter and slightly faded. Best of all, this free preset is suitable for sunny photos of children on the beach. People usually have enough of the regular colored photos and vintage style may represent a special interest for them. 3. 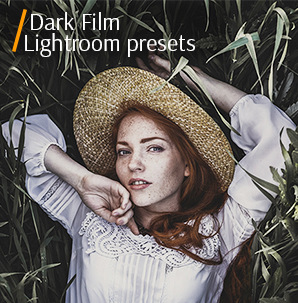 FREE Lightroom Preset "Old Film"
Adobe Lightroom Preset “Old Film” is a type of black and white presets often used for different styles of photography, lifestyle images included. One thing worth mentioning is that this preset doesn’t suit every lifestyle photo. You’d better select particular photos to make them look older while maintaining clarity and brightness. 4. FREE Lightroom Preset Warm "Pastel"
If you want to make your studio pictures more vivid and clear, as well as edit the body silhouettes, then Adobe Lightroom Preset Warm "Pastel" is perfect for you. It can also be used to soften the color palette of a photo, add slight warmth and reduce the overall contrast. This free preset was designed to change your photo completely and give it an unrecognizable professional look. Hi there, I'm Ann Young - a photographer, photo retoucher and of course, journalist. Here on FixThePhoto blog you can find all of my reviews, photography and photo editing tips, pricing guides, and photography experiments.